OMG My DIY Wedding: Make Your Own Napkins! Yes It could be as easy as ironing napkins! For no cut napkins you could buy fat quarters. For no sew napkins use heat bond hem tape. This project is seriously taking forever! I found some gold satin at a thrift store. I paid pennies a yard. 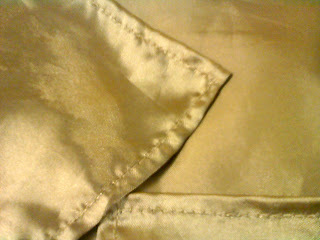 If you ever had the pleasures of working with some kinds of satin...like ribbon it unravels very easy. I had to heat seal every raw edge. This was such a pain! 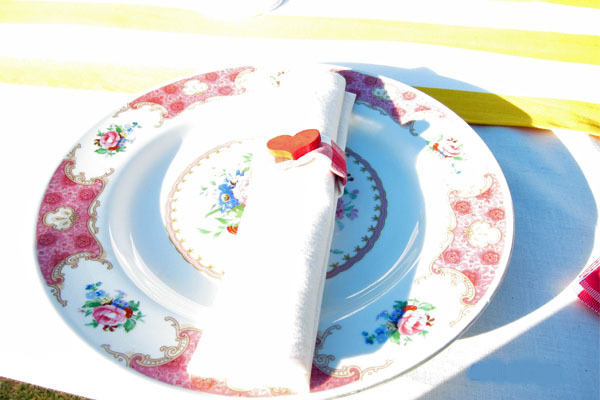 The napkins look fantastic but, if I would do it again I would use cotton.